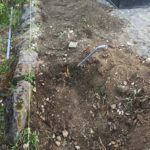 Then there is the story about the Comcast employee that cut and slashed my comcast cable on Friday March 23, 2018, connecting my Comcast cable to the Comcast connection at the Dean and Sue Brown construction site at 9847 NE 1st Street, Bellevue, WA 98004.. 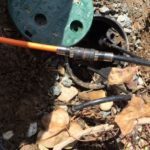 The Comcast employee that cut and slashed my Comcast cable said that Dave Boone of dBoone Construction wanted it done, so the Comcast employee cut and slashed my Comcast cable, and stole my Comcast connection. I was without Comcast service, with the Comcast company not being able to figure out what happened to my service. 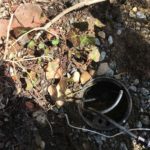 When I discovered it myself by going to my front yard, opening up my green Comcast connection pot which was covered with dirt, I discovered my cut and slashed Comcast cable connection, and the live Comcast cable for my house hooked up to the orange cable that runs to Dean and Sue Brown construction site where Dave Boone of dBoone Construction company had requested it. 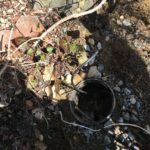 When I had my comcast cable connection reconnected to my Comcast service, there was no denial from Dave Boone of dBoone Construction and no apology either. The Comcast employee that cut and slashed my Comcast connection is Comcast Mark, 425-582-1704. As you can see, my Comcast cable has been cut and slashed by the Comcast worker, Mark, on Friday March 23, 2018. This construction project was started December 2016, and is still dragging along. It originally was to be finished May 2018 but now, since they can’t do a proper job, the completion date is predicted to be September 2018. 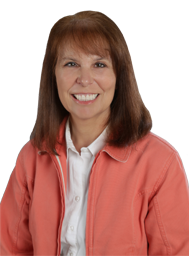 Dean and Susan Brown of 9847 NE 1st Street, Bellevue, WA 98004 are fine with all that has happened and don’t really think that Dave Boone of dBoone Construction has done anything wrong, and that this company is doing a fine job. I never got an apology from Dave Boone, the owner of the contracting/ construction company for all the trouble he has caused me; he runs away when he sees me. I guess he knows that he has something to be guilty about. My parents bought this house in 1966; we have been good neighbors with Dean Brown’s parents for 50 years. For 2 days in May 2018, I had a fence installed in my front yard. 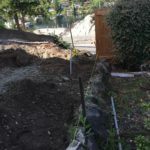 The fence installer said he had been watching the construction workers at the 9847 NE 1st Street, Bellevue, WA 98004 construction site, and that they were doing a bit of tap, tap, tapping, and then would call it a day. My fence installer said they would install a few things, then remove the few things, then re-install the same few things, then call it a day. We figured the workers must be paid by the hour. No wonder this project is taking so long. So now the house at 9847 NE 1st Street, Bellevue, WA 98004 will be finished in September 2018 instead of May 2018. I can see why there is a 3-month delay, as there is not much being finished quickly. It is a beautiful worksite as well; as the worksite looks over Meydenbauer Bay and is a beautiful area. I imagine if these workers were at a South Seattle or an industrial work site, they would have been finished really quickly and out of the neighborhood onto the next job. While working at Boeing Aerospace, cost overrun penalties were included in contracts and levied at companies so that if the company dawdled over their time limit, there would be penalties to be paid by the offending companies. This sounds like a great idea for residential areas. Apparently, there is a residential construction site in beautiful Clyde Hill that has been “constructing” for 2.5 years!!! Some time penalties would surely have speeded up that construction site.!!!! I’m sure it would have an effect on the construction site at 9847 NE 1st Street, Bellevue, WA 98004 as well. On June 11, 2018, they are digging up the ground next door to me AGAIN – this must be the FOURTH time. First, with backhoe, then shovels, then with backhoe, now with shovels again….I guess they are not able to do a PROPER job the first time so they are forced to do do-overs. I guess these workers are working by the hour as well…I wonder if they charge Dean and Sue Brown at the 9847 NE 1st Street, Bellevue, WA construction site more money for this “custom work”. Then there is the story of the installation of the Puget Sound Energy gasline at the construction site at 9847 NE 1st Street, Bellevue, WA. 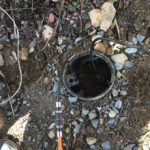 The dBoone construction company couldn’t figure out how to put in the PSE gasline. So I contacted Puget Sound Energy and had a great meeting with Puget Sound Energy Project Manager, Andrea Buren, on Saturday March 31, 2018 about the PSE gas pipeline project at 9847 NE 1st Street. The Puget Sound Energy Project Manager, Andrea Buren, was nice enough to meet me at my house on Saturday, her day off, to explain to me about the gas pipeline. She came all the way from Seattle on her day off to look at the gasline project at 9847 NE 1st Street, Bellevue, WA 98004. We walked the project so that I would understand the scope. She came all the way from Seattle on her day off to explain to me how easy it was to do the project without removing my fence. Apparently, her construction manager at Puget Sound Energy was savvy enough to know how to construct the pipeline so that my fence need not be disturbed, but the dBoone Coonstruction Company couldn’t figure that out so the Puget Sound construction manager who works for the Project Manager on this had to come out to complete the project.